When the well-known Konkani writer Damodar Mauzo told me in January 2011 that my stories in English are really Konkani stories and that the only reason I write them in English is because of my greater fluency in the English language, his critical insight dazzled me. I mentioned that having been away from Goa for over 40 years, my Konkani had become a bit rusty. So after returning to Toronto, I set about the task of converting ten of my 20-plus short stories into Konkani in the Roman script. I started with the story The Landlord’s Son. Immediately I faced the challenge of my limited Konkani vocabulary and of my ability to form possessive and relative pronouns. I translated the title as Bhatkaracho Cheddo. When I sent the completed story to Mauzo, he changed the title to Bhatkaralo Cheddo. He also advised me to get a copy editor for my Konknni stories. I knew of a journalist in Goa, Joel D’Souza of Assagao, who was proficient in both Konkani and English. Over phone and by email I urged Joel to help me in my project. He agreed and set about copy editing my Konkani stories, story by story. I sent him both the English and Konkani versions. He convinced me that the word cheddo had a different connotation. It should be put, he said, and the possessive noun, landlord’s, should also be changed from bhatkaralo to bhattkaracho, he said. So the title became Bhattkaracho Put. By this time I began to ask him about the orthography, the way to spell Konkani words. With great patience, he taught me how Konkani is a phonetic language, and to approximate the sounds many consonants were written with double letters. He taught me the correct syntax and how the spellings of personal pronouns were changed depending on the gender and number. It was a heady experience to say the least, but I was determined to learn how to write my mother tongue in the current usage, knowing that I have an understanding tutor. Although I had three Konkani-English, English-Konkani dictionaries, I ordered a book called Romi Lipient Konknni Kors (Konknni Course in Roman Script) by Matthew Almeida, SJ, published in 2007 by Thomas Stephens Konknni Kendr, Porvorim, Goa. Four months and five stories later, Joel said that my Konkani writing was getting better. When I told him that I was using the Konknni Kors book to help me, he said he was pleased that I was taking this Konkani writing seriously. Finally, after ten months I completed the project with the help of my copy editor. Joel not only fixed the syntax of my Konkani prose but often included the Konkani idioms that give life and colour to Amchi Bhas. He also compiled an extensive Glossary of Konkani-English words to enhance one’s reading pleasure. From this experience I can say that other Indian regional languages can also be converted into English so that the rich literatures of India are available to the rest of the world in the English language, almost a global language today. In this respect, a good copy editor is a must. 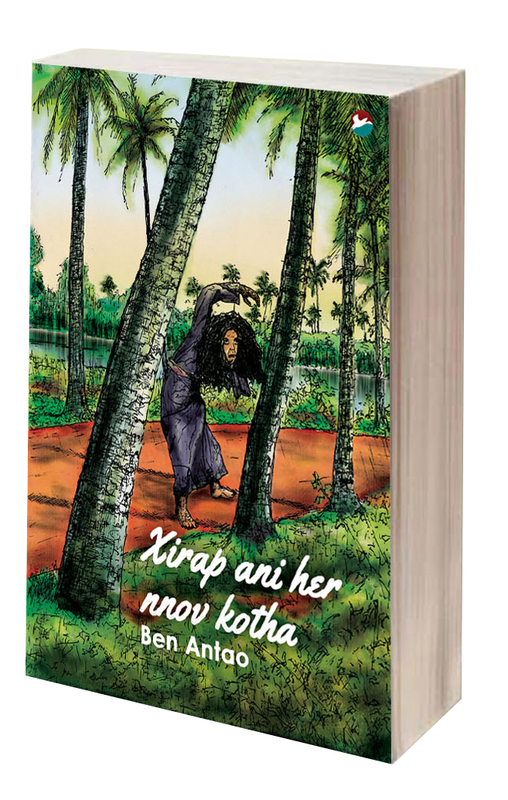 Ben Antao is the author of many books including the bi-lingual “Xirap ani her nnov kotha/The Madhouse in Goa and nine other stories” which is available here for sale.